Cleaning your contacts is a little more complicated than driving your car through a car wash. Though there are contact lens solutions that are multi-purpose and all-in-one, the process of cleaning your contacts can involve several steps and different liquids specifically designed to remove harmful particles that build up on their surface. Even tap water can result in harmful eye infections like Acanthamoeba when used to store contacts, so it's important to choose the right contact solution for you. Bear in mind that whatever goes on your contact goes in your eye, so take the utmost care and consult an eye physician when selecting the proper lens solution. Here's a list of the typical types of contact lens solutions and general descriptions of what they do. Saline solution - Saline solution is designed to clean the lens by removing dirt, chemicals, and residue from other contact lens solutions. Commonly confused with disinfecting solution, saline solution's primary purpose is for storage and to clean the lens before insertion, but not to be used as a disinfectant. Saline solution is generally applied by placing a single contact in the palm of your hand, submerging it under a few drops of the solution, and gently scrubbing both sides of the contact with your index finger for approximately 20 seconds. 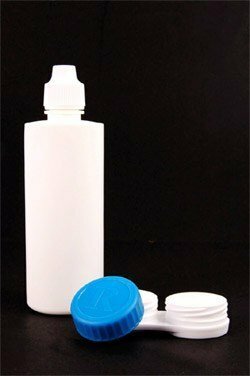 Hydrogen peroxide (or disinfecting) solution - Peroxide solution is designed for storage of your contact lens to remove unwanted buildup. While soaking in this solution overnight, the peroxide extracts bacteria and other elements from your contact that are known to cause eye infections like Conjunctivitis (pink eye). 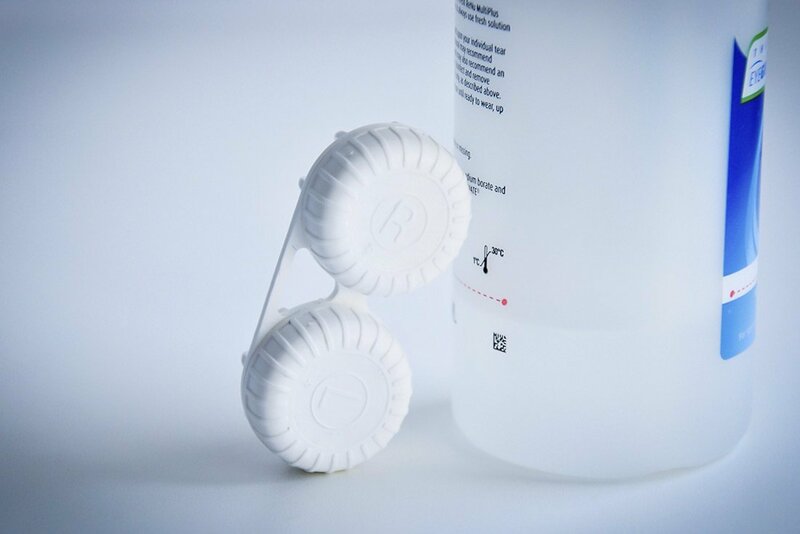 Should you use the hydrogen peroxide solution, be sure to rinse it with saline solution prior to inserting the contact into your eye if it does not include a neutralizer. Failure to do so could result in severe pain to your eyes, due to the the acidic base of the solution. Multi-purpose solution - Multi-purpose solution combines daily cleanser with disinfecting solution. This solution is commonly the most used, because it can serve as a daily cleanser, and as an overnight storage to remove protein. Contact lens wearers that use the multi-purpose solution on a daily basis typically don't have a need for the other solutions, besides rewetting drops. Multi-purpose solution can be applied by soaking the contact in the solution overnight, and by placing the contact in the palm of your hand along with a few drops of the solution and using your index finger to gently scrub the contact. Enzyme cleaner/Protein remover - This solution removes protein buildup from the contact. The tear duct of your eye naturally produces protein, which attaches itself to the contact and will eventually cause irritation. These products can come in liquid or pill form, and both usually require to be added to another solution. As with all of these products, be sure to check the directions of the specific solution to understand the specific steps in using it. Rewetting solution - Occasionally, contact lens wearers will experience moments of dryness when wearing their contacts. When this happens, rewetting solutions can be applied to moisturize the lens and ease their discomfort. Unlike the other solutions, this solution is usually applied directly to the contact while it is in the eye. Daily Cleanser - This solution is used to cleanse the contact prior to disinfection. It removes debris that might cause eye irritation and other discomforts. Most daily cleaners are applied by placing the contact in the palm of your hand, adding a few drops of cleanser, and gently scrubbing each side of the contact with your index finger. Daily cleanser is not recommended for storage. Good eye hygiene is indispensable to good eye health, and contact lens wearers should get into a daily habit of practicing measures for the well-being of their eyes. The following guidelines will assist you to ensure the ongoing protection and vitality of your eyes. Always wash your hands thoroughly before handling contact lenses. Use only sterile products recommended by your eye care practitioner to clean and disinfect your lenses. Keep in mind that saline solution and rewetting drops are not intended to disinfect contact lenses. Do not wash or store contact lenses in tap water. Carefully rub and rinse the surface of the contact lens before storing. Discard contact solution upon opening the case and use fresh solution each time contact lenses are put back in the case. 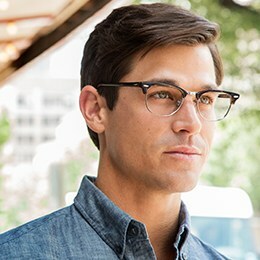 Only replace lenses using your eye care practitioner's prescribed schedule. Never put the contact lenses in your mouth. Do not sleep in contact lenses unless prescribed by your doctor, and never after swimming. See your optometrist regularly for a contact lens evaluation. Please see your eye care practitioner immediately should you experience redness, secretions, visual blurring or pain.